Warning! 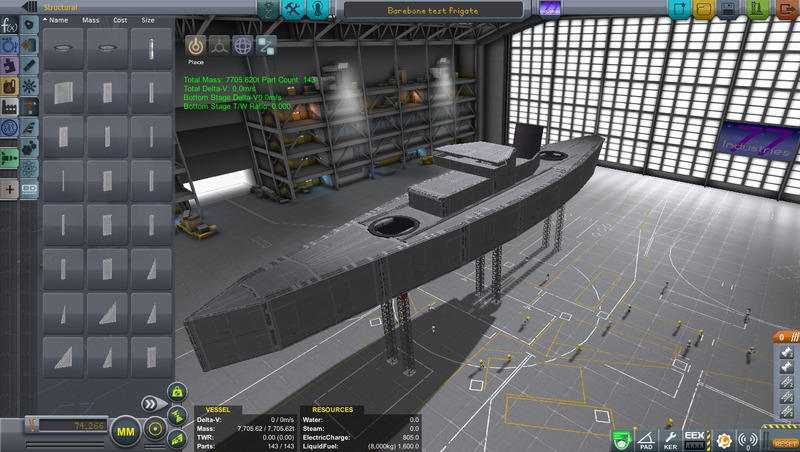 This craft is not compatible with WW2 Warships 0.5 and higher! This frigate was built for the WW2 Warships 0.23 tutorial. A mod aircraft called Barebone test frigate. Built with 143 of the finest parts, its root part is Keel1.